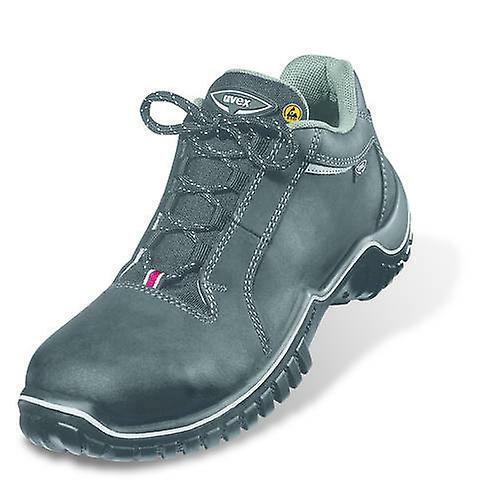 Uvex 6983/8 nubuck leather upper shoe.Features: Metal toecap. Anti-twist heel cap. Wide sports fit. Heat resistant sole for brief exposure up to 120C. Colour: Black. Standard: EN ISO 20345:2011 S2 SRC. ESD rated.